You will be amazed by the variety of animals you will see during every future dive! Twice a week we organize special dives to educate you about the underwater world and offer you the opportunity to participate in our research! Find out about the incredible underwater life of the Mediterranean Sea and how the sandy beaches have been formed. Can you distinguish animals from plants? You may be surprised! Get a glimpse of the fascinating life of these animals by close observation. 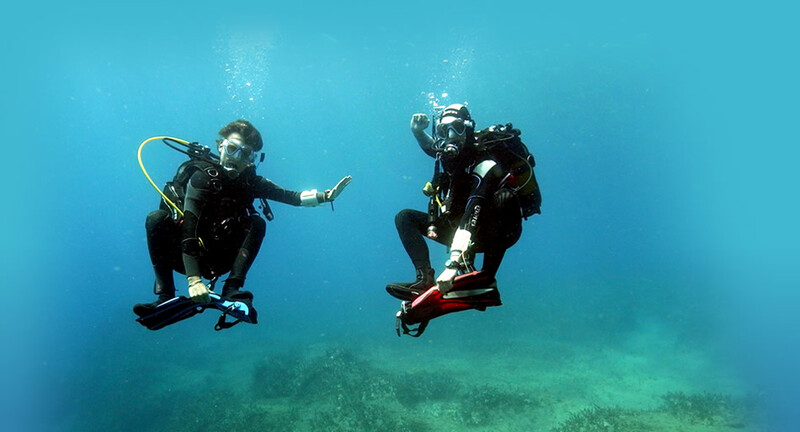 Get insider knowledge about seawater; interesting for everyone and especially divers. Is the amount of salt everywhere the same?